FROM THE ASHES free for a limited time! FROM THE ASHES was selected by Barnes and Noble as this week’s Free Friday’s Nook Selection. With my featured Free Fridays post receiving over 54,000 views (and counting), FROM THE ASHES has been the #1 free book on BarnesAndNoble.com the past three days and counting! It’s also charting on Amazon’s Bestsellers list, already reaching #2 on Action/Adventure and #7 in Suspense! 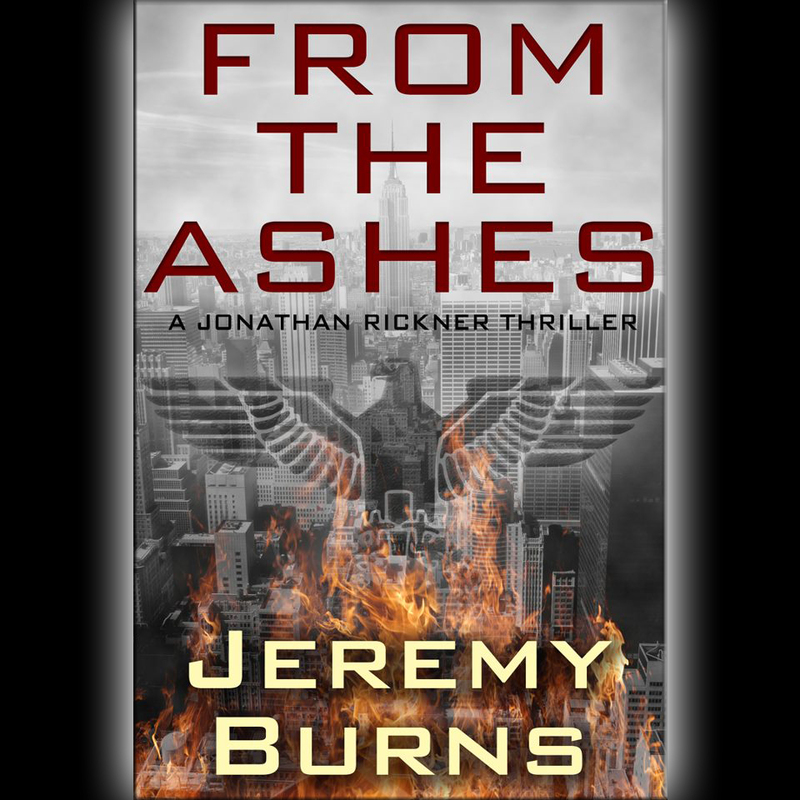 For a very limited time, get the Nook or Kindle versions of FROM THE ASHES for free! And don’t forget to tell your friends and help spread the word! Just finished From the Ashes. Great job! Looking forward to more of your work. Just finished reading from the AShes,could not put it down, i am from new york so enjoyed the scereny, In the beginning was a little confused and not sure I would enjoy it, but it had me doing some research via the internet and also really got involed with the characters. Hope for more and also have wayne as aide from time to time to Johathan. Really great frist novel. Great book!!! I enjoyed the history, mystry, how the characters interacted and the reality of Manhatten, NYC and DC. I love historical fiction and can’t wait for more! Good afternoon, I have seen some rave reviews for your novel. Is it still available for free on the NOOK? Nook, Kindle, iBooks, and eReader versions of FROM THE ASHES will be available for free tomorrow and Saturday. Starting on Sunday, those eBook versions will be available for a 40% discount (only $2.99) for a limited time. I hope you enjoy the novel, Brandon, and I’d love to hear from you once you’ve finished it.